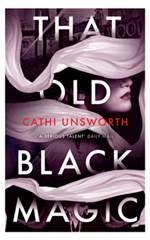 That Old Black Magic is the latest crime novel from Cathi Unsworth. 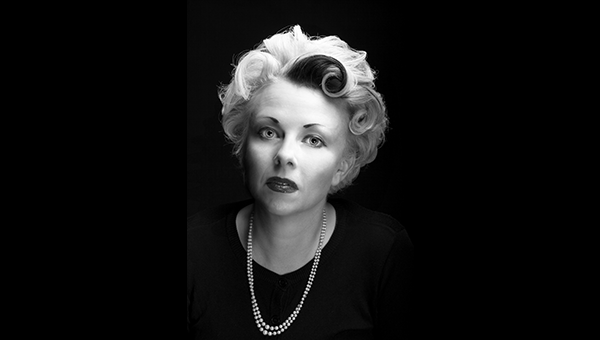 This time, Cathi delves into the real-life story of Bella in the Wych Elm, a 1943 murder mystery. When it comes to writing noir fiction, I have found that the most bizarre characters and plotlines are ones you just couldn’t invent. Which is why my books are based on real cases that have either remained unresolved or contentious to this day. In That Old Black Magic I combine one of each, intertwining stories of witchcraft from the darkest days of World War II, with a cast drawn from reality that even the most imaginative of scribes would be hard-pressed to invent. Mediums, Ghost Hunters, music hall managers, Suffragettes-turned-Fascists and the corporeal spooks of British Intelligence haunt these pages. Please allow me to introduce you to some of them. I first wrote about Helen Duncan, the Highland-born medium who was the last woman to be prosecuted under the 1735 Witchcraft Act in March 1944, in my last novel Without The Moon. My interest was piqued about this still-controversial case by Tony Robinson’s BBC documentary The Blitz Witch. In the course of research, I discovered two more fascinating characters. Her ally, Hannen Swaffer, was Britain’s most popular and trusted journalist – despite being a self-professed Spiritualist and Socialist, neither of which would gain you much Fleet Street traction now. Her nemesis, Harry Price, was the founder of the National Laboratory for Psychical Research, who investigated the phenomena of mediumship as Spiritualism reached its peak of popularity between the Wars, was a member of the Magic Circle and President of The Ghost Club. While Swaffer, along with scores of distinguished witnesses, testified to Helen’s veracity at The Old Bailey, Price provided the prosecution with photographs of the medium projecting ectoplasm that looked suspiciously similar to cheesecloth. Price, alongside the remarkable MI5 spymaster Maxwell Knight, weave together my two central stories. Knight ran a circle of agents throughout WWII who infiltrated the many strange, mystic cults with allegiances to the Nazis. His most infamous recruit was the traitor propagandist William Joyce, aka Lord Haw Haw, and his most famous friend the novelist Dennis Wheatley, who also worked in wartime counter-intelligence. Teenagers Robert Hart, Thomas Willetts, Bob Farmer and Fred Payne had been playing football on the Sunday of 18 April 1943, when they decided to take a walk from the village of Woolscote up to Hagley Woods. The boys knew they would be trespassing: the land formed part of the ancestral home of Viscount Cobham, on the Worcestershire borders close to Stourbridge, which had been landscaped in the middle of the 18th century. The estate is dotted with follies, including, at the summit of Wychbury Hill, an 84ft (26m) obelisk. The friends entered the stretch of woods 630 yards parallel to the Kidderminster to Birmingham Road in search of game for the pot. What they found instead were human remains – the skull of a woman – inside the hollow trunk of a massive witch hazel tree, known locally as the Wych Elm. Terrified by what they had found – and the fact that they might be punished for trespassing or worse – the lads agreed to put it back where they had found it and tell no one. This resolve lasted until bedtime for the youngest of their number, 13-year old Tommy Willetts, who broke down and confessed to his parents. They in turn alerted the Worcestershire County Police. The next morning, officers returned to the scene with Professor James Webster, Head of Forensic Medicine and Toxicology from Birmingham University. Inside the tree, they found the remains of a woman, a crêpe-soled shoe and the decomposed clothing she had been wearing. A further search of the surrounding woodland uncovered the bones of her right hand buried nearby, as well as the matching shoe to the one in the tree 100 yards away. 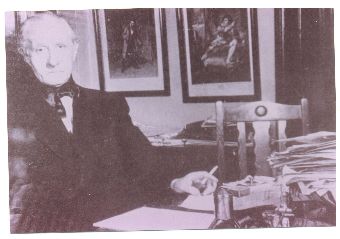 Prof Webster took the remains back to his laboratory to compile a forensic report, issued on 23 April 1943. Following the publication of his findings, the Coroner’s Inquest in Stourbridge on 28 April returned a verdict of “Murder by some person or persons unknown”. Police Reports circulated advice to investigating officers that: The district where the skeleton was found was visited nightly by a large number of people from Birmingham, West Bromwich and Smethwick about 18 months to two years ago, during enemy raids on those districts. The district is also much frequented by pleasure seekers and courting couples. A nationwide search followed, with police first checking 3,000 missing persons’ files from the surrounding 1,000 square miles. Prof Webster drew up a detailed picture of the woman and what she had been wearing at the time of her death. Her shoes were traced by detectives to a batch sold at a market stall in Dudley. Photographs of her teeth were also widely circulated around dental practices, and published in medical journals. But these elicited no response. The only lead these bulletins garnered was the re-examination of a report from July 1941, made by a local businessman, who had heard screams coming from Hagley Woods one night as he walked back to his lodgings in Hagley Green. When police were summoned they found nothing. It seemed that nobody knew who the dead woman was… until a message was received in the night, just before the Christmas of 1943. WHO PUT LUBELLA DOWN THE WYCH ELM? was written in chalked capital letters three-inches deep, on the side of a house in Old Hill, about a 15-minute walk from Hagley Road. A few days later, another appeared in Upper Dean Street, Birmingham, asking: WHO PUT BELLA DOWN THE WYCH ELM HAGLEY WOOD? This was followed by two more, high up on the same block of buildings in the fruit market area of the city, stating simply: HAGLEY WOOD BELLA. Picking up on the links to the Hagley Woods skeleton, local press asked in return: Do you know Bella? No one replied. But the skeleton in the tree now had a name that everyone, including the police, started using. And still the tracts refused to go away. Similar markings reappeared on a five-bar gate at Hawne, and on a wall in Wolverhampton in August 1944. Both read: HAGLEY WOOD LUBELLA WAS OPPOSITE ROSE AND CROWN, HASBURY. Yet police could find no trace of any woman, missing or otherwise, who went by this name. But an academic had another theory to add. Professor Margaret Murray was an established Egyptologist who had developed a concurrent interest in folklore. Her books The Witch Cult in Western Europe (1921) and The God of Witches (1933) expounded on a theory that an ancient witch cult was prevalent in pre-Christian Europe. Murray drew attention to the corpse’s missing right hand, a detail that signified to her that the murder bore the hallmarks of Black magic ritual. It was arcane tradition, she said, to imprison the spirit of a dead witch inside a hollow tree. Still, a decade passed without further development. In November 1953, the Wolverhampton Express and Star columnist Lt Col Wilfred Byford-Jones returned to the scene of the unsolved murder on the tenth anniversary of the crime, mulling over Prof Murray’s theories as he roamed Hagley Woods at night in as series of atmospheric articles he penned as ‘Quaestor’. These did provoke a response. A woman calling herself ‘Anna’ from Claverley claimed to have known the identity of both the woman in the tree and her killer – and it had nothing to do with witchcraft. Byford-Jones passed the letter on to Worcestershire CID and met with his informant. She told him a story about a spy-ring passing on secrets so armaments factories in Birmingham could be targeted for raids by the Luftwaffe. It involved a Dutchman, a male trapeze artist and a former officer of the British armed forces who died insane in an asylum in 1942. MI5 were brought into check these details and Quaestor wrote that they had verified the identity of Anna’s officer. Though this all sounded very promising, this trail also went cold – although the presence of corporeal spooks in the mix only heightened the mystery when Bella’s remains, which had never been buried, disappeared from Birmingham Medical School. Six years ago, a declassified MI5 file detailed the interrogation of a German agent named Josef Jakobs, who had been parachuted into the Huntingdonshire fens at Ramsay, near Peterborough, in January 1941. Jakobs had on him fake ID papers, a longwave radio, a map with two nearby RAF stations ringed on it, and in the lining of his suit was a photograph of a glamorous woman, with a love message written on the back, in English, and signed: Your Clara. Jakobs told his interrogators she was his lover – an actress and singer called Clara Baurele, an influential woman connected to senior Nazis, who worked as a secret agent. She had spent two years in the music halls of the West Midlands before the War and spoke English with a Birmingham accent. Jakobs brief was to make radio contact with her as soon as he landed. Instead, he had broken his ankle on the way out of the plane, and was subsequently surrounded by farmers and captured. Jakobs’ interrogators did not consider that he could be successfully turned into a double agent and could not verify his story. He was sent for Court Martial under the 1940 Treachery Act the Duke of York’s HQ, Chelsea on 4-5 August 1941, convicted of Treason and dispatched by firing squad at 7.12am on 15 August 1941 at a miniature rifle range within The Tower of London. Jakobs was the last person to have been executed at the Tower. While her earthly remains are gone and her true identity remains a mystery perhaps destined never to be solved, The Bella graffiti has never gone away. 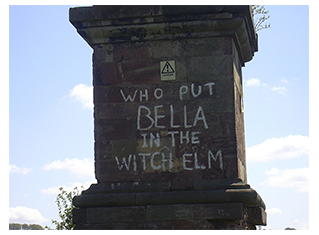 Forty years after the first batch, the question WHO PUT BELLA IN THE WYCH ELM? was posed again on a car park wall in Hagley in August 1984, dismissed by West Mercia police as a teenage prank. On the morning of 18 August 1999, the sun rose over Wychbury Hill to reveal the same message written across the obelisk in tall white letters. There it remains to this day, along with cardboard signs begging the same information hung about Hagley Woods, close to where the original Wych Elm – the exact location of which has now also vanished into the ether – was said to have been. The trial of Helen Duncan (1897-1956) in March 1944, in which the Scottish medium was prosecuted under the 1735 Witchcraft Act, remains controversial. Her real crime, supporters maintain, was that she had brought through sailors from a sunken vessel at a séance in Portsmouth in December 1941, unwittingly breaking the law by acting as a channel for reporting this news, that had been placed under a government D-Notice forbidding publication. Since 1940 security had been tightened through The Home Defence Executive, which coordinated the Home Office, MI5, MI6, the police and Admiralty. All chief constables were instructed to report security news twice a month to their MI5 regional security liaison officer. Rumours, reported in the Daily Sketch that year, that German agents were attending British séances swirled amid a general atmosphere of paranoia about spies and Fifth Columnists. Psychic News editor Maurice Barbanell was warned about publishing false information provided by mediums by plainclothes Scotland Yard officers in 1940. People contacted mediums and attended séances for support and reassurance, as they had done during the First World War. But, as hostilities raged on, public dissatisfaction with what they were hearing began to grow, and magistrates started to act on their complaints. A string of prosecutions under the 1824 Vagrancy Act for “pretending or professing to tell fortunes” began in May 1942. Helen Duncan had come to Maurice Barbanell’s attention a decade before, when she was publically tested in a series of séances between 1931-2 by the London Spiritualist Alliance (LSA), advised on by professional stage magicians and doctors and observed by himself and Fleet Street journalist Hannen Swaffer, who wrote them up for Two Worlds. These in turn caught the attention of arch sceptic Harry Price, the self-styled Ghost Hunter, who also ran tests on Helen at his own National Laboratory for Psychical Research (NLPR) in Roland Gardens, South Kensington. The society ladies who witnessed a handcuffed Helen produce her ectoplasm for the LSA were a great deal more impressed than Price, whose session ended in a punch-up between Helen and her husband Henry when she refused to be X-rayed. Price’s 1932 paper Regurgitation and the Duncan Mediumship came complete with plates of Helen manifesting what Price, himself a member of the Magic Circle, was convinced was a length of cheesecloth, concealed in her stomach to be brought back up when occasion demanded. Among those who had witnessed Helen’s feats for the LSA was Brigadier Roy Firebrace, head of Military Intelligence in Scotland. Firebrace, himself a Spiritualist, was impressed and in May 1941, attended another, private Duncan séance in Edinburgh, during which Helen announced that a great British battleship had been sunk. Firebrace subsequently telephoned the Admiralty and was informed of the nightmarish fate of HMS Hood, split in two in the Denmark Strait on 24 May by the German ship Bismark, with the loss of all but three of its 1418 crew. Helen, it seemed, was particularly tuned into the navy. A few months later, on 2 December 1941, at the Master Temple Psychic Centre in Portsmouth, she apparently passed on a message from a sailor from the HMS Barham, torpedoed by a German submarine U-331 in the eastern Mediterranean on 25 November, with 868 killed. Did Firebrace have something to do with Helen’s subsequent prosecution? Officially, she only started to be investigated in December 1943, by Portsmouth constabulary’s Detective Inspector Frederick Ford. He had received complaints about the Master Temple, run by chemist Edward Homer and his wife Elizabeth, from the rooms above their shop on Copnor Road. A Royal Navy Volunteer Reserve (RNVR) Lieutenant Stanley Worth, concerned that his mother was being conned, attended several services there. The chemist’s wife told him that an amazing medium called Helen Duncan would be visiting in the New Year. Worth came back to the Master Temple on 14 January 1944. Helen conjured up a form that she told Worth was his Aunt, recently deceased from bowel trouble. Knowing that all his aunts were in rude health, Worth’s next visit was to Portsmouth Police Station, where he was interviewed by DI Ford. Worth returned for Helen’s next sitting the following day with War Reserve Constable Rupert Cross. While Ford waited outside, the Reservists waited for Helen to begin her manifestations before Cross threw open the curtains of the cabinet and Worth pointed a torch towards the medium, revealing Helen pushing away yards of white fabric. Ford arrested Helen on suspicion of contravening the Vagrancy Act by “pretending to hold communication with the spirits of deceased persons”. She was taken to Kingston Cross Police Station and cautioned, then put before the magistrate the next morning without representation and remanded in custody at Holloway prison until 25 January. Percy Wilson of the Spiritualist’s National Union made hasty arrangements for Charles Loseby KC to represent Helen at her next hearing. Police at Porstmouth Magistrates were surprised to see a barrister come to Helen’s aid, still more by his argument that, by denying Helen bail and representation at her arrest they had presented her as a dangerous criminal. Helen was released and another hearing timetabled for 8 February. Ford submitted a report to the Director of Public Prosecutions (DPP), Sir Edward Tindal, in which information was amassed to support the case against her, including Harry Price’s paper. Tindal’s assistant, Arthur Sefton-Cohen, met with Ford and concluded a charge of conspiracy to defraud would be preferable, as this would lead to a jury trial and, in the event of a conviction, a custodial sentence. Helen was read out this new charge at 10.50 on the morning of 8 February and promptly fainted. Fresh summons were issued to the Homers and served on them that afternoon at the Master Temple. The court was adjourned and a new date set for 29 February. After the accused pleaded not guilty, a trial was set to take place at The Old Bailey. The barristers and Home Office framed an indictment, which was found in Section 4 of the Witchcraft Act: “…the more effectual preventing and punishing any pretences to such arts and powers”. So all the Prosecution needed to prove that was that Helen had pretended to conjure up the dead. The trail began on 23 March 1944 in the Blitz-damaged Old Bailey. The public gallery had been bombed out of use, but eager spectators crammed into corridors and precincts and there was a distinctly showbiz dazzle to the proceedings. The DPP’s representative, JE Robey was the son of George, aka the ‘Prime Minister of Mirth’, Britain’s best-loved comedian. The presiding Recorder of London, Sir Gerald Dodson had a sideline writing light musical comedies, one of which, The Rebel Maid, had its Drury Lane premiere midway through the trial. And the Prosecuting KC John Maude was the dashing son of a well-known actor. For Helen’s Defence, the less glamorous Loseby, a 62-year old who spoke in a voice made husky by a gas attack suffered in the trenches of the First World War, had mustered over 50 witnesses who could testify to the medium’s veracity. These included high-ranking military men, noted scientists, society ladies and her Fleet Street champion Hannen Swaffer (see below). The trial closed on 29 March, and when the summing-up came the next day, Robey’s devastating performance did for the unfortunate Loseby. Helen Duncan and her co-defendants were all found guilty, but due to previous good behavior, her Portsmouth hosts had their sentences suspended. Helen faced the trip to Holloway alone, to serve ten months imprisonment. Did the authorities believe she had used supernatural forces, suspect her of being a spy, or simply want to silence a voice likely to spread panic and unease? Why did three years elapse between the Portsmouth séance and her trial, and why did that take place at the Central Criminal Court, the Old Bailey in London, and not at Porstmouth Assizes in the city where she was arrested? These are all questions that remain to be satisfactorily answered.